The First Ten Years — Expansion! I’m not sure what Oda had in mind for the future of her business when she opened that first little Health Food Store in 1971, but I do know that she always wanted to keep learning and growing. She continued to expand product offerings and to serve her community. She was fulfilling her mission — to provide her community with healthy, quality products, and to teach them about natural remedies. The store had outgrown that first location within a few years, and so Oda moved across the street to a larger store. The business flourished at that location as well. In 1980, Oda and Hilmar decided that they were ready to expand the business further. The original store was doing well, and they felt that the next door community of Oxnard had a need for a Health Food Store. There were many customers who made the drive to Camarillo, and so they felt there was an untapped market there. They looked at many locations and found one that was suitable. I believe that I painted that “Opening Soon” sign that hangs in the window! One factor that helped them in their decision to open another store was that their son, Peter, was to graduate from college in December of 1980. He was anxious to contribute to the family business, and was looking forward to a new challenge. They knew that he and his wife (that’s me!) would help them open and run this new store. Their daughter, Doris, was already working in the original store in Camarillo, and along with the other employees, Oda and Hilmar felt that they had enough help that they could put some energy into this new project. 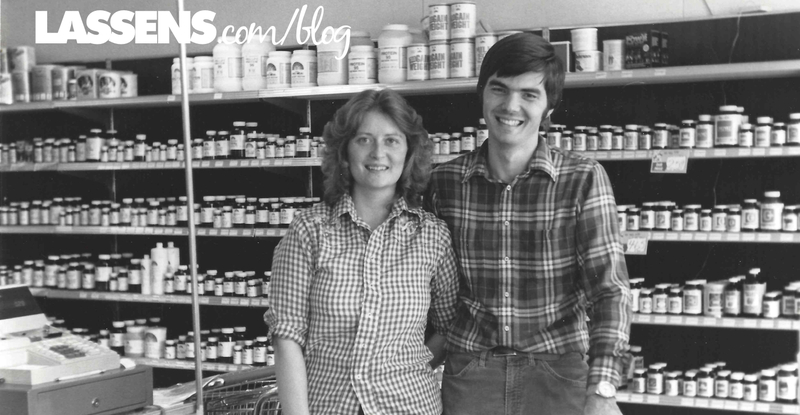 The shopping center looked very different in 1980 than it does now, but the core of the business is the same: Friendly, knowledgeable staff; healthy, quality products; beautiful organic produce. As an English Major and teacher, the business of Health Food was new to me, but healthy eating was not. I grew up in a home that emphasized nutrition — we didn’t have much fast or junk food at our house! So I found it exciting and new to learn so much in such a short period of time. While Hilmar and Peter worked on the logistics of getting the equipment, refrigeration, and shelving set up, Oda taught me the day-to-day operations and customer service, as well as product knowledge. It was a whirlwind few months until our opening day, in March 1981. 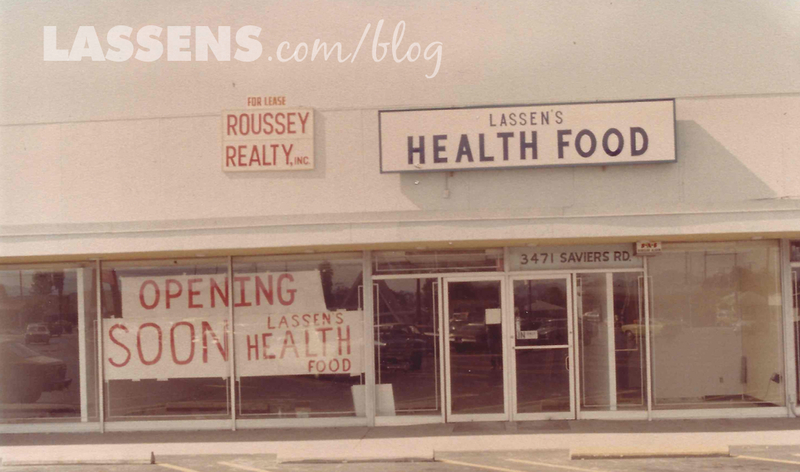 This photo was taken in September 1981 — six months after the Oxnard store opened. The Oxnard store was not an instant success. There were many days when we only sold for a few hundred dollars. We started each day with the shelves completely faced — all of the product brought to the front of the shelf — and I remember how thrilling it was to walk through the store at the end of each day and see what people had bought. It was especially exciting when we would hear a shopping cart pulled out of the row of carts, since that probably indicated that someone was going to buy more than just what they could carry in their hands. When we took a day off, Oda or Doris would come cover for us in Oxnard. We finally sold enough to warrant hiring our first employee, Rosie. That brought with it a whole new set of responsibilities and a very steep leadership learning curve. I think we were learning as much as she was! Throughout it all, Oda was a steady and reassuring guide. When it came to the business she was clear-eyed and focused. She was rarely ruffled. She knew what she stood for, and her decisions reflected her vision. In the more than 37 years since we opened that second store, and the other stores after that, her influence has never left us. Passion. Commitment. Respect. It’s in everything we do. We are always striving to provide The Best of Everything Good! Please don’t sell out to some big company!! We sure don’t plan on it! We are are three generation company now, and would love for this to go many more generations! Thanks for your positivity and support!